We wouldn’t be where we are now without some awesome community support – from media partners to fan groups, we appreciate a strong showing of community support! 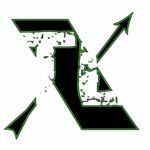 Please visit their website and follow them on social media! Comic Crusaders Presents The Undercover Capes Podcast Network. We are hosting a variety of podcast aimed at all comic enthusiasts. We have a DC podcast called The Definitive Crusade, a Marvel one called NO-Prize Podcast, an Indy podcast called Flipside Focus, another program dedicated to the comic verse on the big and small screen called Sloppy Spoilers and we dig in deep with creators in Outside the Panels and a lot of other shows! 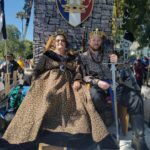 Gamercon is a San Diego company formed by a group of passionate geeks and gamers that is dedicated to bringing you exciting experiences throughout the year! 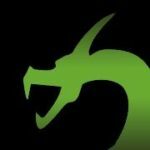 We have specialists in all areas of gaming, who bring their passion for gaming to our organization. Doing research on their area of expertise isn’t work, it’s something they do for fun. And we bring that experience and excitement to you. Mochi Cafe is an eclectic blend of Japanese pop culture and the celebration of friendship and fun based in San Diego, California, founded by Andrea Cash and Stephanie Moore in 2009. Inspired by the maid cafes in Akihabara, Japan, Mochi Cafe entertains guests through games, dance, and song. Unlike the traditional black and white attire, maids and butlers of Mochi Cafe bring a colorful and fun brand of cultural entertainment for all ages. They bring a unique experience of Japanese Maid Cafes to the United States so all fans of Japanese Culture could enjoy! 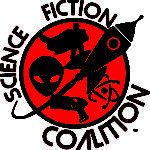 Science Fiction Coalition is a private club of science fiction fans that loves to give back to the community. We support charities,fundraisers, conventions, and special events.